No Hugs! – iris elsewhere. 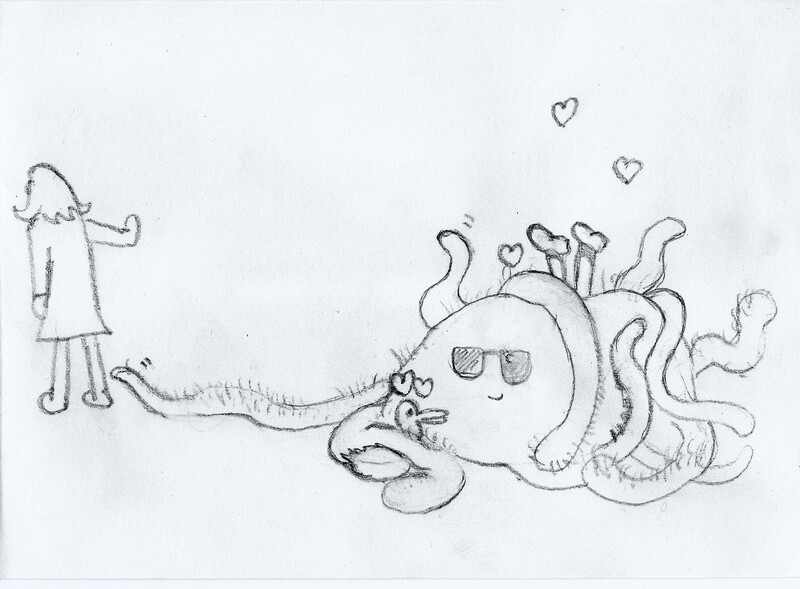 So, in celebration of the end of Hug Month and in honour of the tentaclemonsters in our lives, and also because I nearly forgot about posting and would rather obsessively retrace my current-project-drawing than do a doodle today, here is No Hugs! A guestdoodle by A Boy.